Headed by Divisional Forest Officer, Hailakandi Division, NH Mazumder, the team raided the illegally installed bend saw mills at Boalipar, Narainpur, Matijuri and Katlicherra bus stand in Hailakandi town and confiscated sawn timbers including equipment worth over Rs 1 lakh. Mazumder disclosed that the seized timbers and equipment are being kept in the DFO’s campus. ACF (headquarters), magistrate, Range Officer, Garmurah, OC, Hailakandi and BO, Sadar Beat were part of the raiding party. 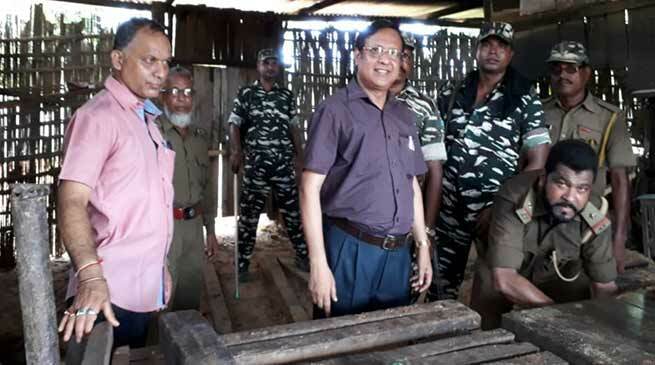 It may be mentioned that the Hailakandi Forest Division seized two trucks loaded with illegal sawn timbers and a truck laden with illegal sand worth over Rs.30,000 on July 13.